Graded EX-MT 6 by PSA. 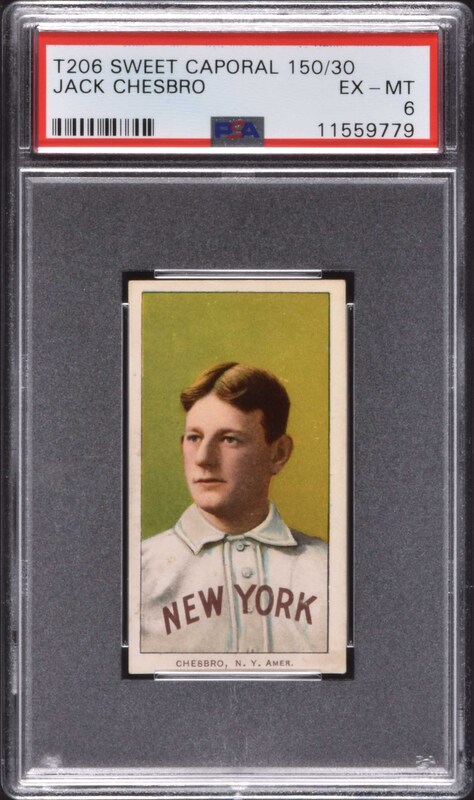 Extremely attractive example of New York Giants Hall of Famer Jack Chesbro in a portrait pose from the popular T206 White Border series. Clean both front and back, with vibrant colors, four strong corners showing light touches of wear (slightly more on the lower right) and centered slightly toward the top left. Boldly printed Sweet Caporal 150 reverse. 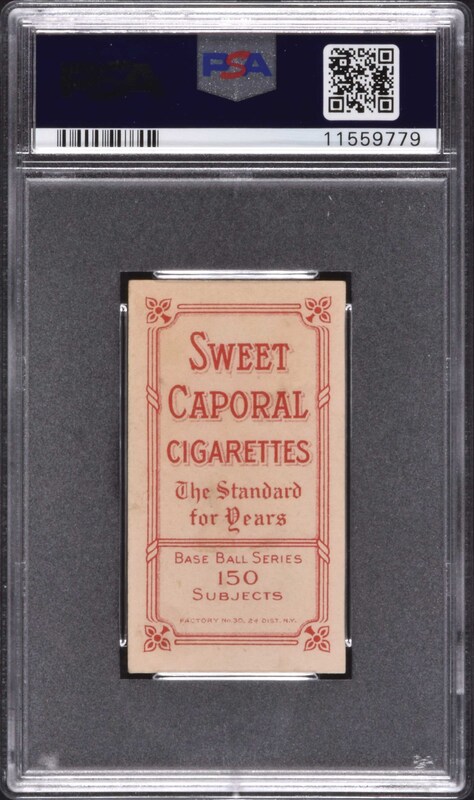 This is an exceptional example worthy of any high-grade T206 set or Hall of Fame collection. Reserve $300. Estimate $500+.